This Valentine’s Day, we’re celebrating our one year rebranding anniversary (new logo, new site, new CI…). That day marked the beginning of a love story. Maybe you remember Hannah and Felix? Hannah was the rational one in our story, while Felix was the emotional character. Their union was stereotypically “love at first sight”, but far from the standard. They needed some help in order to fully understand one another. They spoke two completely different languages, after all! Their union was only made possible with the help of “friend”. Curious to rediscover how this friend empowered them to develop the inseparable relationship that’s still so special one year later? We originally posted their story on Medium, but let’s reintroduce and revamp Hannah and Felix’s story here. It’s a beautiful love story that involves all of us. The most romantic love story in tech! Wait…why should a tech company tell a romantic story? Let me share something about Felix and Hannah and their seemingly impossible love with you and then you’ll understand. Felix is not so different from you and me: he likes to interact with other people and loves challenges. Felix doesn’t like boundaries and is always happy to have a good laugh. He usually works hard, is creative and a passionate lover (or at least he thinks so). One day, after taking a stroll, he started thinking of how he could make things better with Hannah. Their relationship had always gone through ups and downs. But lately, communication seemed to be more confusing than usual, and he seemed to be losing her. No matter how badly the two of them needed each other, their relationship was always characterized by miscommunication and frustration. Hannah is extraordinary. She’s smart. Terribly smart! And so very talented… Hannah is reliable and learns incredibly fast, even though people perceive her as being rather cold and she seems to have a quite rational approach when it comes to the whole “love” thing. The two of them come from different places. Hannah and Felix don’t even speak the same language! And they communicate in two completely different ways. Looking at them from an outside perspective you might think they couldn’t last a day together. But intellectually, the two of them go together as butter and bread. No matter what, despite all their differences and against all odds, the two of them always found a way to stick together. And together they achieved so much….always relying on each other. Together they’re a team and this companionship has always represented the solid foundation of their relationship. Even if their way of expressing thoughts and ideas is so radically different, Felix and Hannah always managed to find a way to communicate their intentions and interact with each other. Because if there’s one thing that Shakespeare taught us is the fact that miscommunication is the most devastating enemy of every relationship. Think of Romeo and Juliet. The lack of proper communication was fatal for them. Romeo didn’t understand Juliet’s intentions and their story ended tragically. But it’s Valentine’s day….and OUR story can’t end like that! One day, Felix realized that the only reason why things seemed so complicated with Hannah was the fact that he had to learn a lot about the way Hannah likes to communicate before trying to interact with her. The whole preparation phase sort of became like learning for a test. And who would want to read books, watch video tutorials, or attend a course to simply communicate basic needs? That’s when Hannah and Felix discovered a common friend who could communicate seamlessly with both of them. A friend who spoke Hannah’s language but could take Felix by the hand and guide him step-by-step every time he needs to communicate with her. What happened next is described in the final paragraph of this story…but let’s take a minute to add something to the background of our characters. Unless you’re a Google robot, chances are that if you’re reading this article you’re human. Like Felix. Humans are positive beings driven by motivation. We’re smart enough to cook with fire or to figure out how many sheep we need to have to make a profit with wool and creative enough to use tools to create a cozy abode. If we look at elementary shapes, humans can be associated with roundness and the passion, and emotions which are typical of our species are associated with the color red. But no matter how curious and knowledgeable we are, we can’t fly like birds, be as fast as cheetahs or as strong as ants. And no offence, but we aren’t the best at complex calculations, seeing patterns or predicting scenarios based on historic data. And we aren’t the best at assessing risks: we are after all the species who designed the Ford Edsel and Microsoft Bob! Humans need tools and machines to break the barriers of physical and intellectual constraints. Hannah is a machine. She can basically perform better than any human being in pretty much every category and her achievements are repeatable because they’re connected to logic algorithms and automatism. Machines learn fast and, if well-built, they’re also stable and trustworthy. Machines lack human warmth, are artificial and therefore linked to colder colors like blue. In basic shapes, machines are often associated with straight lines and edges which typically do not exist in nature. Machines need humans to fulfill their purpose but they currently don’t seem to be very responsive when we talk to them. Like Hannah, they lack passion and understanding for this whole love thing. Humans invented better and better ways to communicate with machines. From simply smashing two fire stones together, performing manual labor to heat up the steam engine or inventing programming languages, humans have a deep rooted desire to communicate better and more deeply with machines. With great machines comes great communication. Hence, we ended up with awesome interfaces which dramatically improved our relationship. But, as it seems, machines grow faster in complexity than our communication strategies. As a result, we struggle to keep up. Complexity is once again a new barrier between humans and machines. We at Userlane really admire and respect both Felix and Hannah. We know that the two of them are stronger together. There’s a knowledge gap between humans and machines which derives from increased complexity in software applications. If, on the one hand, this allows humans to do a lot more within each single piece of software, on the other hand, it becomes increasingly more difficult to keep up with the sheer number of new processes. Thus, learning has become an obstacle between us and software applications. Userlane has the mission to connect humans and machines intuitively and instantaneously. Our on-screen interactive guides allow users to interact with any application immediately and without any previous knowledge, handbooks, or video tutorials. Each individual can now operate any piece of software instantaneously without learning or being trained, independently from how tech-savvy they are. Our guides take each user through all the processes during the onboarding phase but also at later stages since guides can be recalled at any time. Our guides are not simple tutorials. Tutorials teach you how to do something and then invite you to do it. Our guides usher users through processes while they’re actually performing the tasks. Our friendly face is half human and half machine. 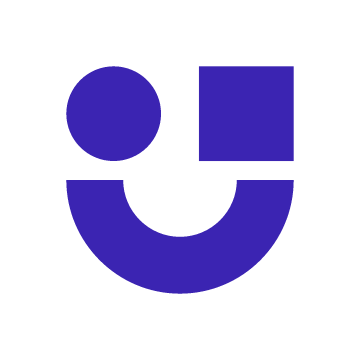 Userlane is the smile and the “U” element that connects the two elements. The warmth of the color red is mixed with blue to form a new color: purple. Userlane is an enabling technology that creates harmony between users and applications. Besides being the combination of the two primary colors of our brand elements, purple is also a special color. A color that doesn’t exist! Purple is a human ‘invention’. Secondary colors derive from the sum of primary colors. The result of mixing two primary colors is always a color whose frequency is between them. So, for example, the frequency between red and green is yellow. Therefore, by adding red to green we obtain yellow. The same for green and blue. The color in between their frequencies is cyan. And the combination of the two colors creates cyan. 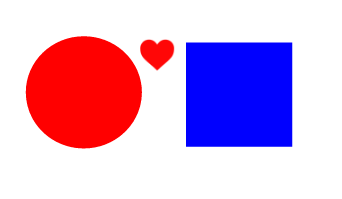 But red and blue are far apart. In between there’s yellow and green and cyan. So what’s the result of the sum? Well…a combination of blue and red that our brain can’t decode. We have red, blue and green receptors. Objects that activate both red and green receptors are yellow. But activating both blue and red receptors simply creates confusion. To overcome the problem, our brain perceives the combination of the two colors as a new color. Purple not a specific frequency in the spectrum. It’s just the fruit of our human imagination. Our logo is then a human face of an exclusively human color. And this perfectly reflects the spirit of our company and our team. It’s true: Felix is a pretty intuitive person; but, as we’ve seen, Hannah has become somewhat like a closed book for him. She’s become a lot more sophisticated and unintelligible and the two of them really seemed to somehow be drifting apart. On one of those days when they realized they were speaking two completely different languages again, Felix met a friend. This new friend, seemed to understand Hannah pretty well. Besides, this friend was also really good at explaining to Felix what to do next. And suddenly, thanks to this loyal buddy, all the problems between Hannah and Felix seemed to have vanished. Like a modern Cyrano de Bergerac, this friend is now always with Felix to translate and guide him so to make sure that he always knows what to do or say next. Things have never been better between Felix and Hannah and in the meantime, Felix has learned so much from his friend that he and Hannah understand each other perfectly. Who knows what would’ve happened between them if it wasn’t for their friend!?…. Now they’re happy, though. And their relationship is destined to grow. Thanks to our technology, humans and machines are united again. In the era of digital transformation, we create the basis for a smooth and clear transition that reduces friction and enhances the user experience by eliminating all the barriers introduced by complexity. Userlane makes the seemingly impossible love possible!